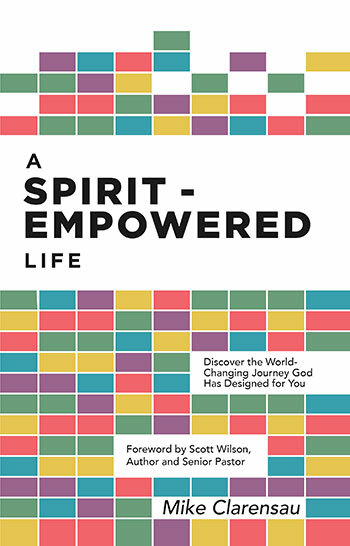 Mike Clarensau, A Spirit-Empowered Life: Discover the World-Changing Journey God Has Designed for You (Springfield, MO: Vital Resources, 2015). This past Sunday—May 15, 2016—was Pentecost. In the Old Testament, Shavuot occurred on the fiftieth day after Passover and celebrated the firstfruits of the harvest. When Jews translated Scripture into Greek, they chose the word Pentecost (“fiftieth”) to translate Shavuot (“weeks”), for obvious reasons. In the New Testament, the outpouring of the Holy Spirit recorded in Acts 2 occurred on the first Pentecost after Jesus’ death (which coincided with Passover), resurrection, and ascension into Heaven. Since that day, the Holy Spirit has continued to fall on Christians in accordance with Jesus’ promise and for the purpose He announced: “you will receive power when the Holy Spirit comes on you; and you will be my witnesses in Jerusalem, and in all Judea and Samaria, and to the ends of the earth” (Acts 1:8, emphasis added). A Spirit-empowered life is, at minimum, power for witness to Jesus Christ. The Christian life, then, is a Spirit-empowered life. And yet, so many of us experience a gap between the kind of life we actually live and the Spirit-empowered life the New Testament portrays. In A Spirit-Empowered Life, Mike Clarensau sets out to describe the Spirit-empowered life in detail and to explain how that gap can be closed. Mike divides his material into four sections: The Hunger (chapters 1–8), The Encounter (chapters 9–16), The Demonstration (chapters 17–36), and The Horizon (chapters 37–40). The longest section of the book concerns the demonstration of Spirit-empowered living through relationships, spiritual growth, service to others, missional undertaking, and worship of God. The portrait of Spirit-empowered living that emerges is thus a combination of classical Pentecostalism’s emphasis on “power for witness” with a more contemporary emphasis on purpose-driven ministry. It’s a good, and natural fit. No matter what the road you traveled toward God looked like, it was your need that fueled the journey. But there’s a greater step beyond that critical precipice. If you’re going to find a life of more—the abundant one Jesus spoke of and the greater race God offered His prophet [Jeremiah 12:5], you have to really want it. May God use this book to elicit a greater hunger for Him, the life Jesus offers, and the power the Spirit gives!